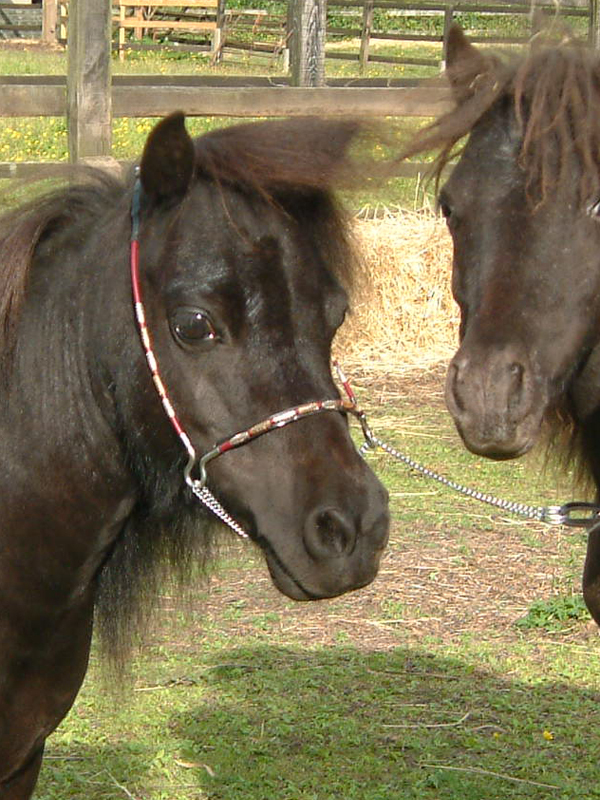 UK leading exporter of REAL Falabella Miniature Horses wordwide. Falabella horses for sale. 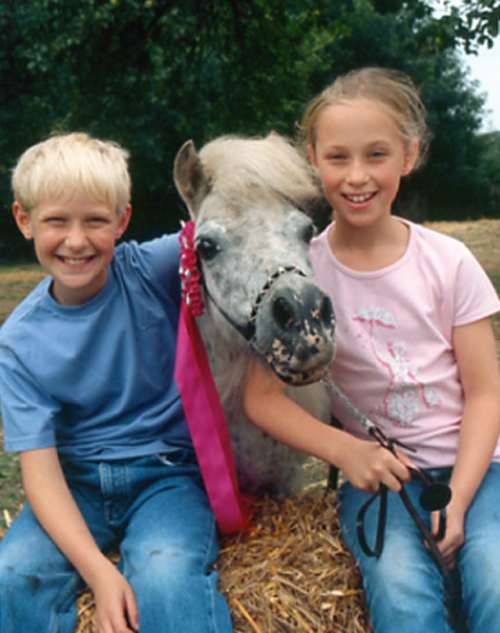 The UK's leading exporter of pure Falabella Miniature Horses for many years. Dedicated to this rare breed. Menu - click on page to open. 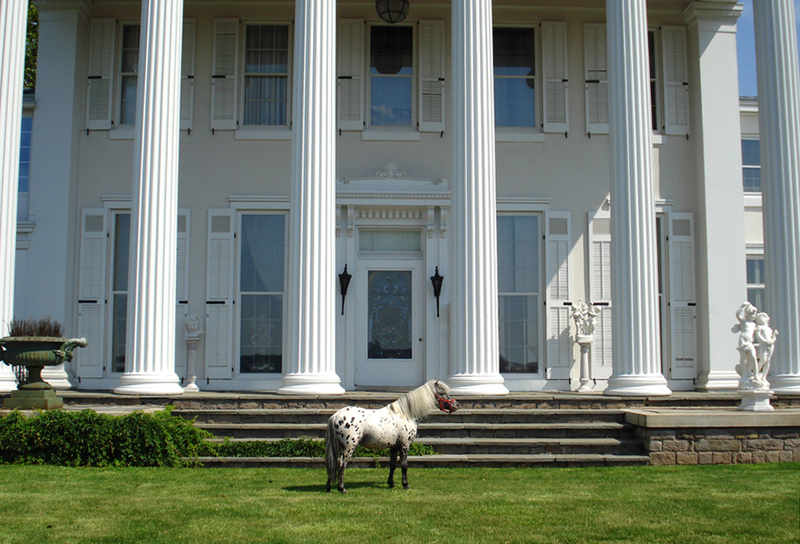 (By Limelight's Point Break ex Equuleus Fantastica) at his home in the U.S.A. He carries the blood of the two legendary horses imported to the UK - Falabella Menelek and Falabella Al Graten. Top quality pure DNA-proven Falabellas. 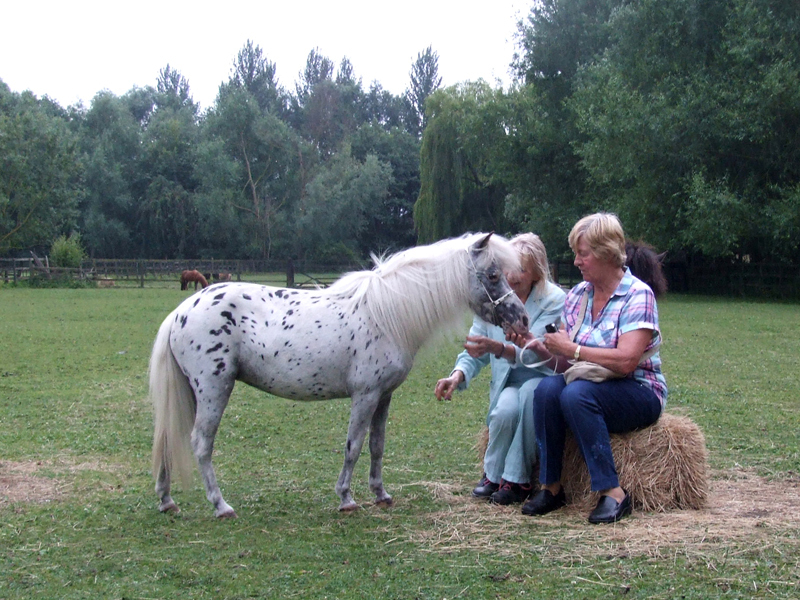 Our DNA testing is conducted by the esteemed Animal Health Trust in Newmarket. HRH the Princess Royal is its president. 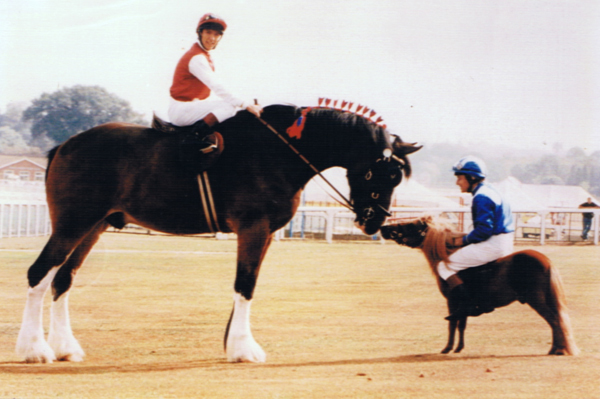 The Mother Studbook for our breed is called the Asociacion de Criadores de Caballos Falabella. "The horses that in a time frame to be determined would not perform the DNA test and their results have not been reported to the ACCF will be stricken from ACCF records". 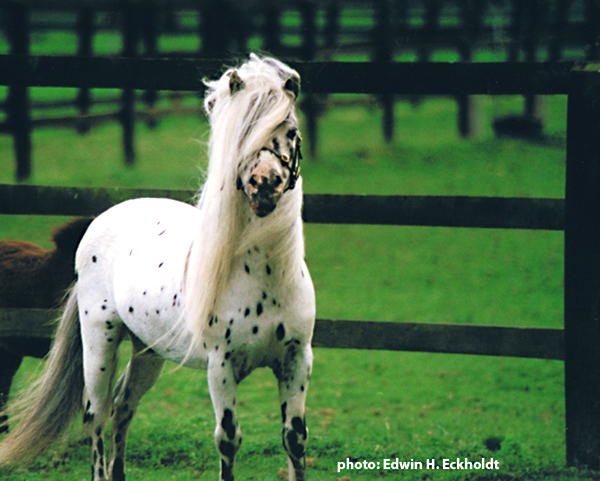 They had authorized the Dutch Falabella Studbook (which is now known as the European Falabella Studbook) in 1995. And in 2003, they authorized The British Falabella Studbook. These are the only authorized Daughter Studbooks to the ACCF in Europe. that she and Susan Eckholdt were in regular contact both before and after Sue's visit to Argentina. Now owned by Sheikha Latifa bint Rashed Al Maktoum, Dubai. Falabella foal Equuleus Felipe with his mother Limlight's That's Amore. 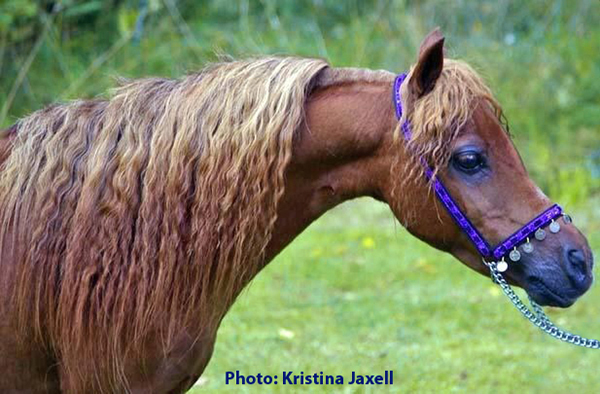 'Falabella 2 and 3 year old' classes at the MHS UK/USA Supremacy show at Oakridge Arena on 1st June. offered as the main prize in 'The Sun' newspaper competition. 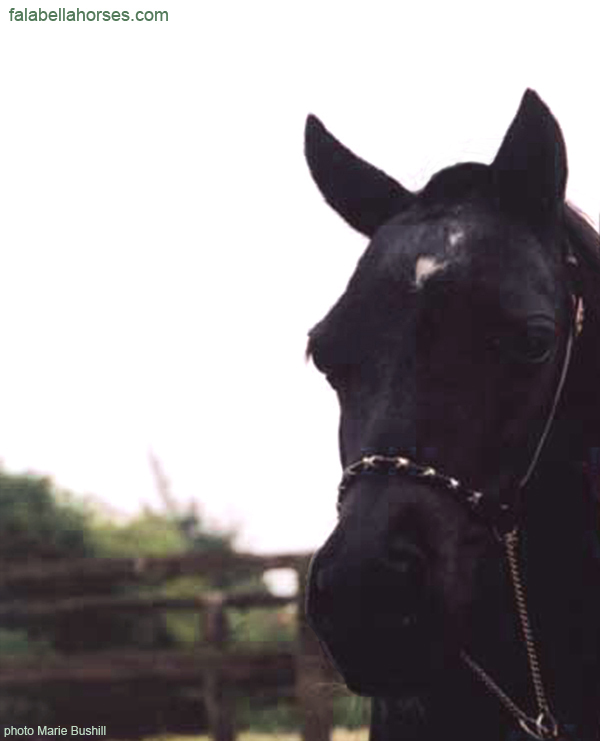 All our horses trace directly back to exports from the Falabella Ranch in Argentina. The Falabella is classified as a miniature horse, not a pony. Please continue to enjoy our 'home' page, but here are links to other pages you may find useful. (By Limelight's Sabre ex Lady Erica of Hambrook) Foaled August 2013. This filly carries the blood of Falabella Menelek and Falabella Chico. 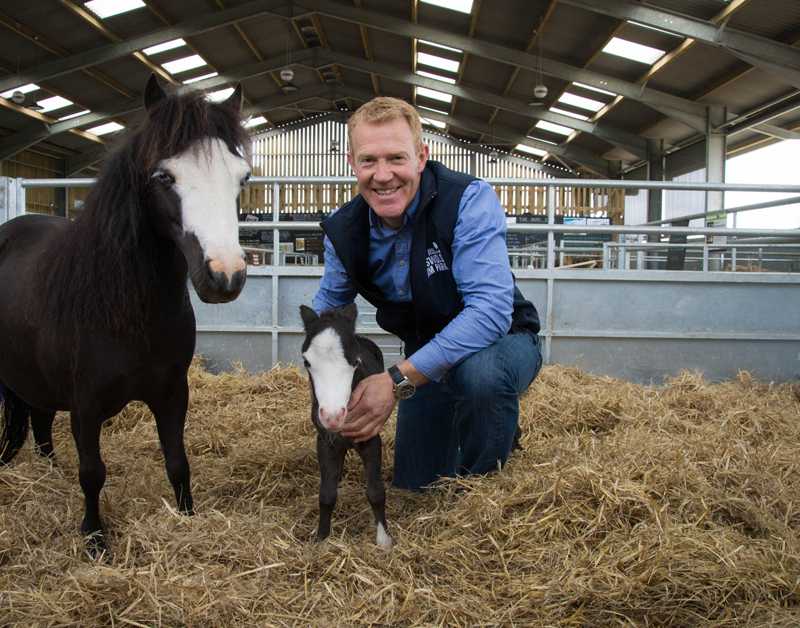 With the twins Robin and Liberty Fisher of Kilverstone at the Equuleus Falabella Stud. Daughter of Charlotte of Kilverstone and great, great grand daughter of Falabella Al Graten. Jessica is pictured here with Mrs Brenda Sutcliffe whose daughter Helen won Falabella Al Graten in a newspaper competition in 1974. 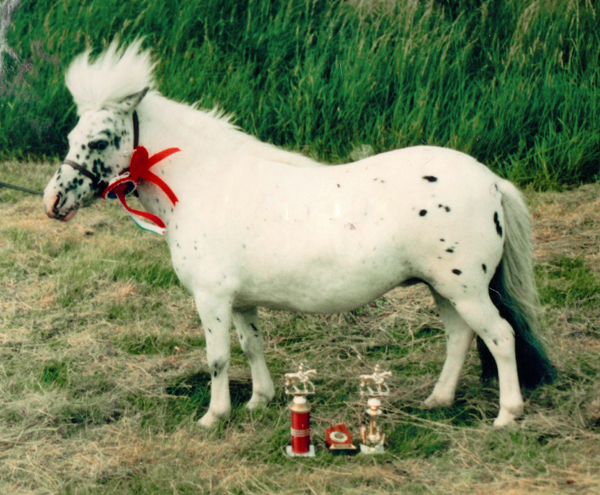 Won first prize in the four years and over, appaloosa mare exceeding 87 cms class. 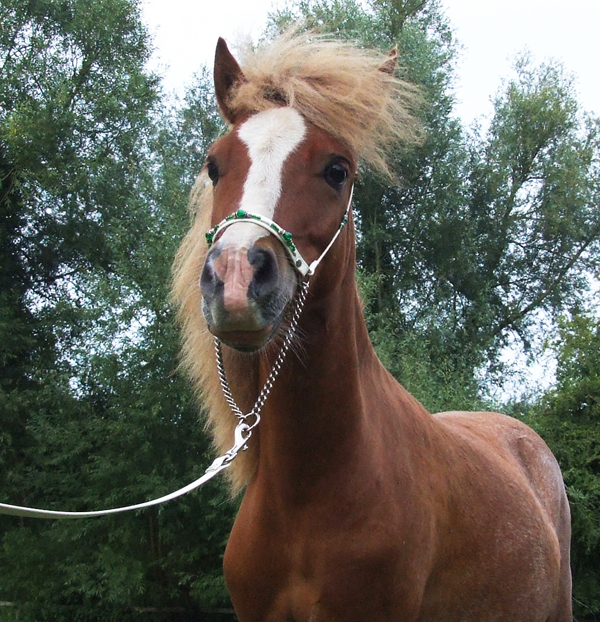 Owned by Sandra Radecke - shown by Esmee Stoel. Fiesta was also crowned European Champion Mare 2015. 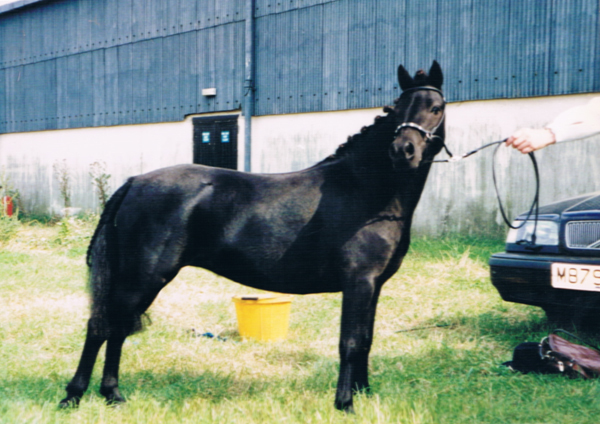 An exquisite first generation Falabella mare bred by Mr Albert Shepherd, former UK ACCF director. 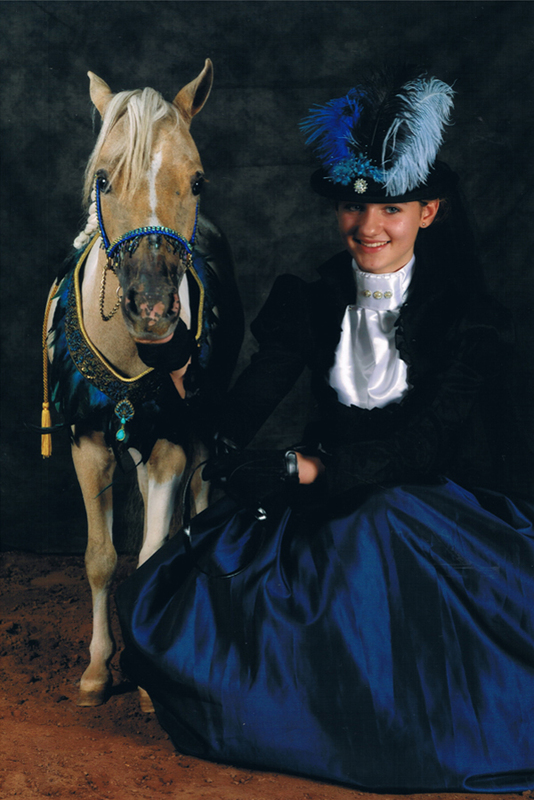 meaning that she was not only a pure bred Falabella but also an American Miniature Horse. 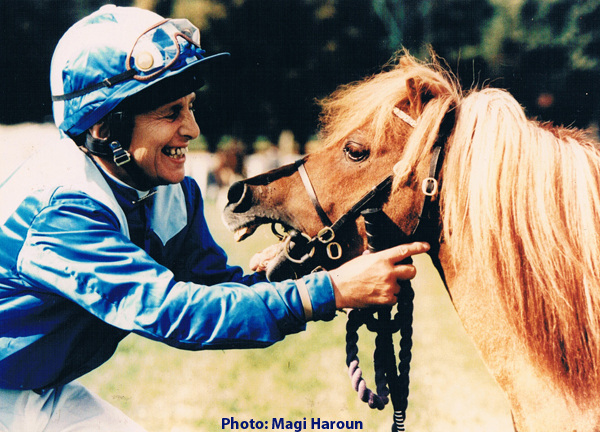 With five times British Champion Jockey Willie Carson O.B.E. 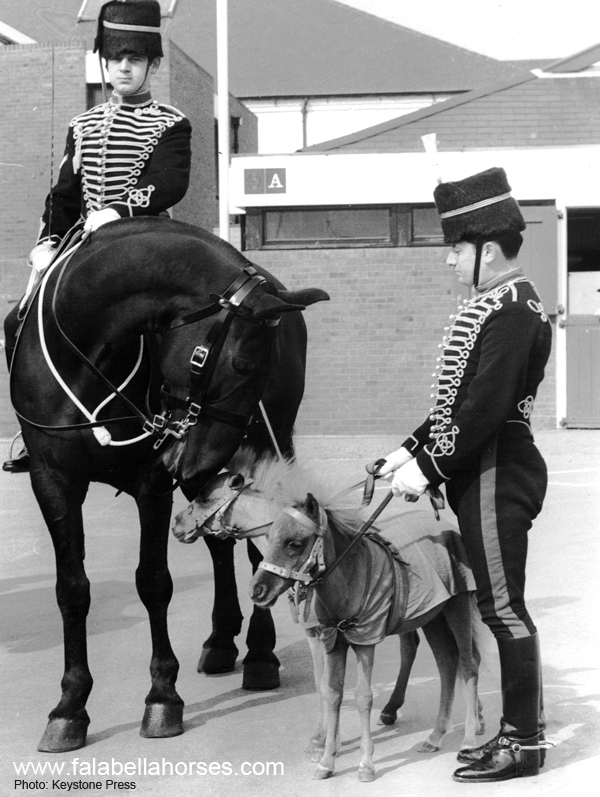 meaning that he was not only a pure bred Falabella but also an American Miniature Horse. 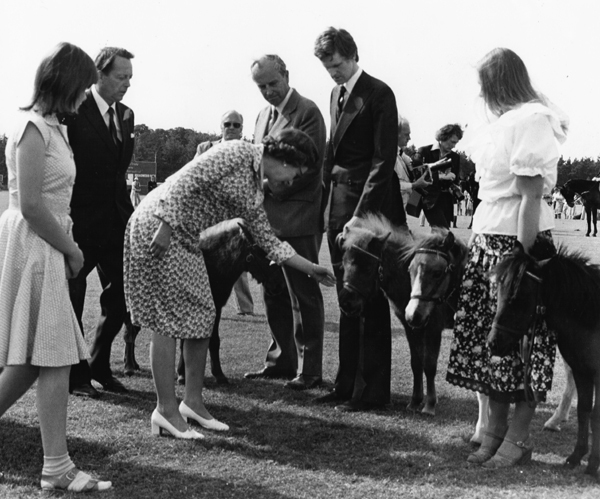 and Lady Sarah Armstrong-Jones at Windsor Great Park in 1978. 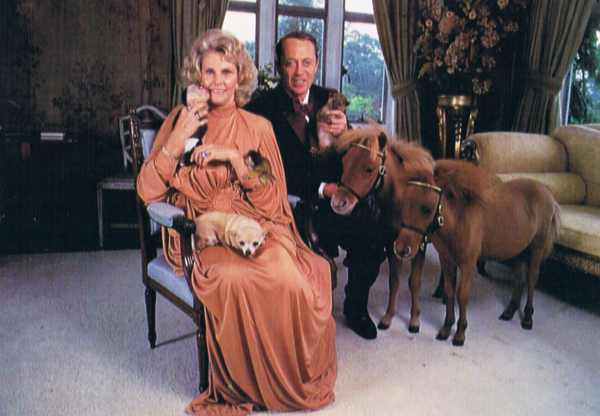 Chico is held by Lady Rosamund Fisher's son Jamie Fairbairn. Lord and Lady Fisher at Kilverstone Hall in Norfolk. They imported Chico and Argentina in 1977. Owned by Mr Rickard Rundqvist. demonstrating the extreme 'Arabian' type in miniature. meaning that he is not only a pure bred Falabella but also an American Miniature Horse. his conformation has not been manipulated in any way. 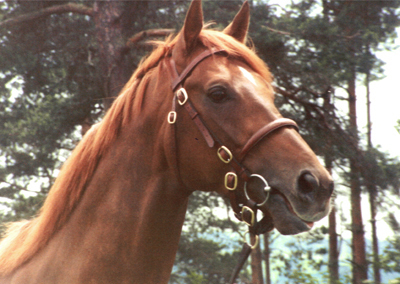 He left the Equuleus Stud for Sweden 'in utero' in 1992. 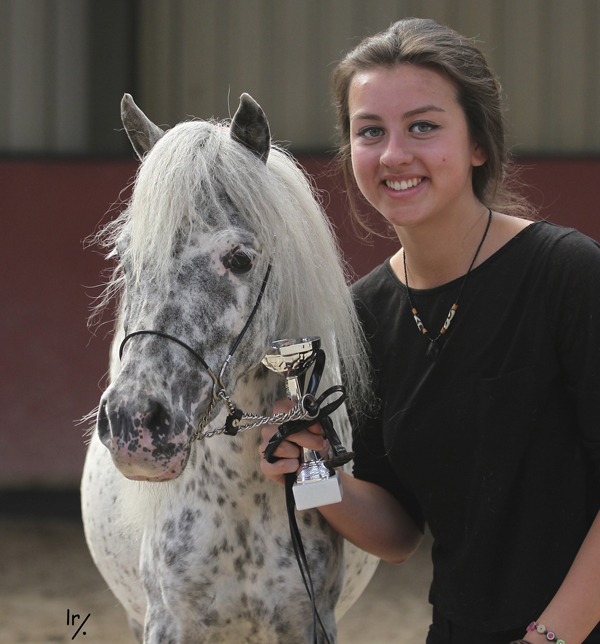 On 18th July 2012 he returned from Sweden to the Equuleus Stud on a breeding loan. 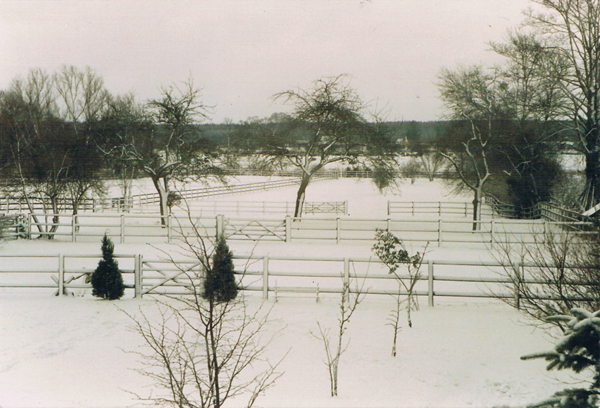 He covered eleven mares which resulted in eleven foals the following year and a number of foals since. 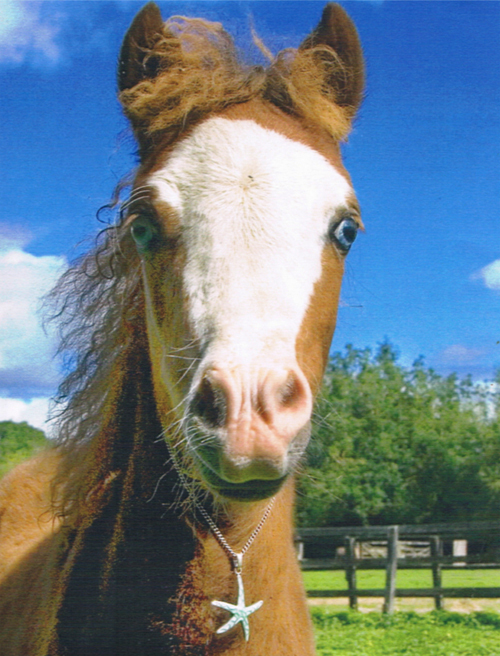 Our horses are DNA tested in order to ‘parentage qualify’. This means that we prove that the horse you buy from us is sired by stallion ‘A’ and out of mare ‘B’. 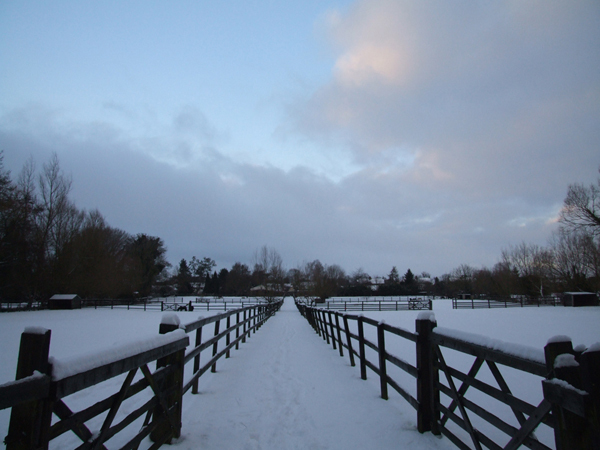 Our DNA testing is conducted by the esteemed Animal Health Trust in Newmarket. HRH the Princess Royal is its president. The DNA test for parentage qualification is universal and can be shared internationally between laboratories with the consent of the horse owner. 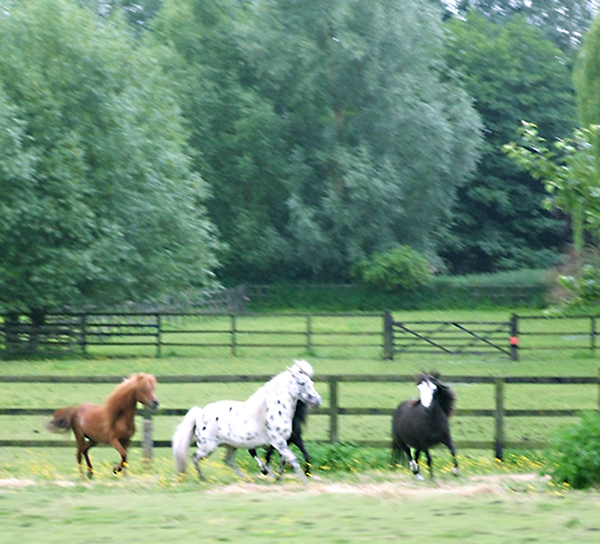 Our horses are registered with either The European Falabella Studbook, The British Falabella Studbook or both. 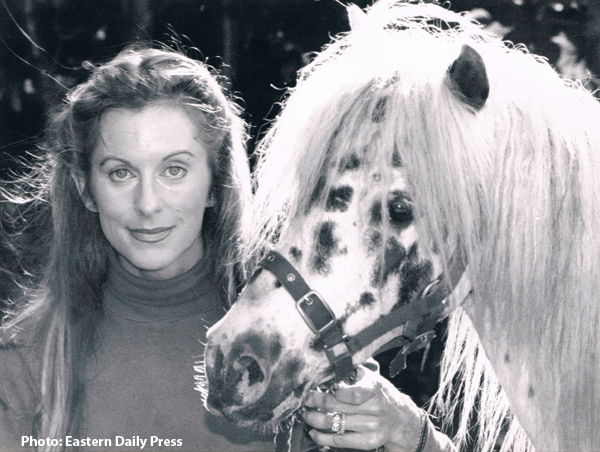 Both sanctioned by Maria L B de Falabella, and the only authorised Falabella studbooks in Europe. 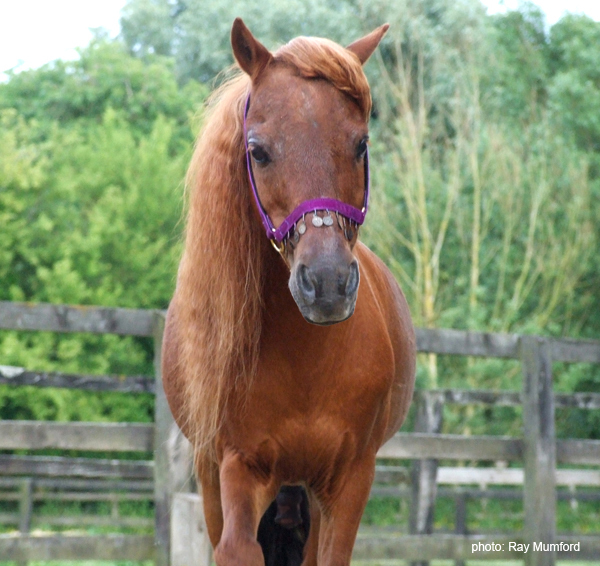 Some of our horses are also registered with other societies which include the BMHS and the AMHA. (in order to enter specific shows perhaps) and we will try to organize this where possible. An amazing pintaloosa Argentine import of 1973 which was offered as a prize in 'The Sun' newspaper competition and won by eleven year old Helen Sutcliffe in 1974. 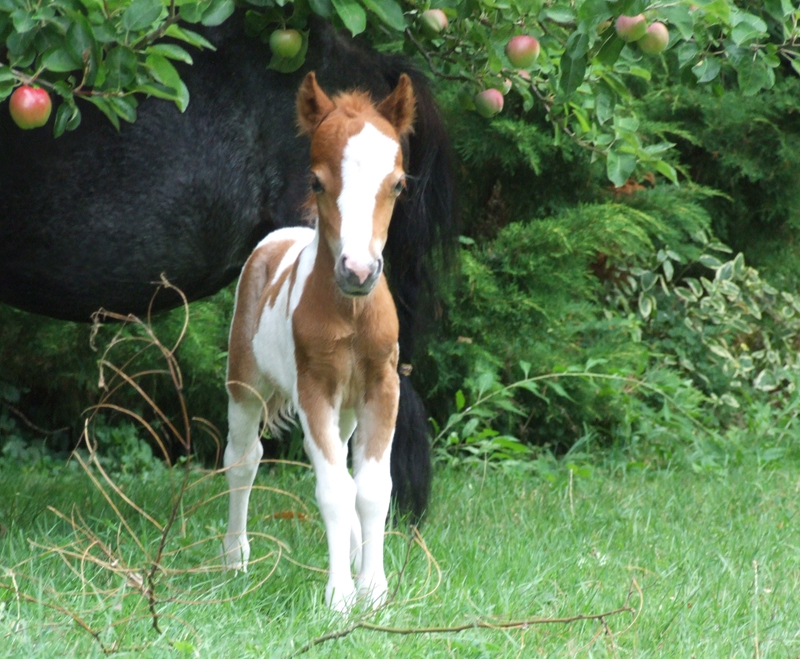 Many of our foals carry the blood of this stunning little mare and many of the finest blue eyed Falabellas in Europe, the USA and the Middle East owe their quality to her. Read her story on the 'UK Archives' page.